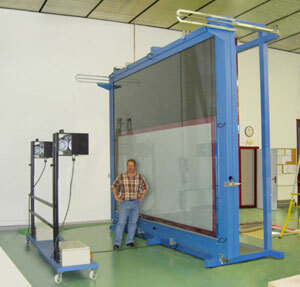 Vertical vacuum frame for serigraphic screens. Dimensions according requirements. Ideal for use in combination with the ultraviolet equipment EH-5000. Frame of structural steel (autostable). Closing system with pneumatic springs. Dry vacuum pump without maintenance. Equipment with control cabinet for automatic cycle. High flexibility blanket resistant to UV.